Singapore American School is a non-profit, independent, co-educational day school located in the Woodlands area of Singapore. It offers an American-based curriculum for students in preschool through high school. Singapore American School identified a need to enhance the customer experience for new and existing parents of students at the school. 1. Development of customer personas: Together with key stakeholders, we developed customer personas capturing all the information considered important to know from a Customer Experience perspective (eg. interests, concerns, needs/wants, channels). 2. 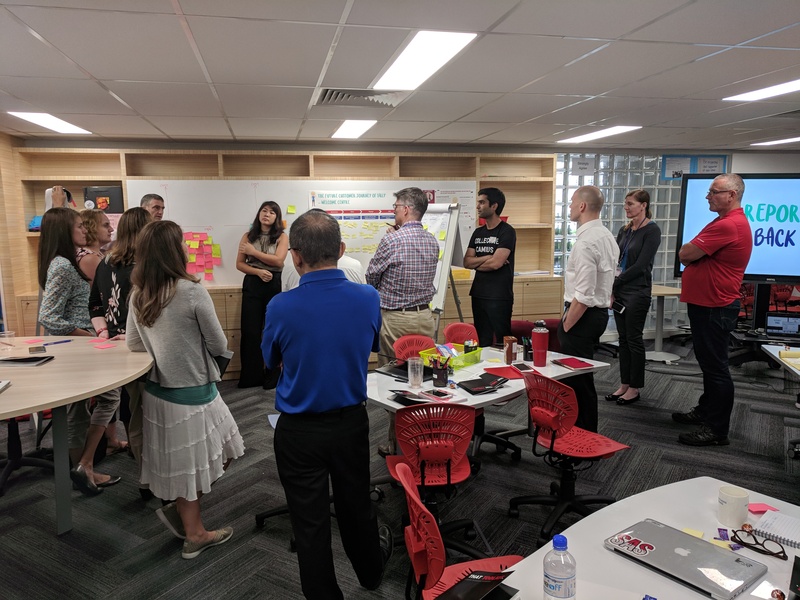 Mapping of future customer experience journeys: Singapore American School is in the midst of a transformation that includes the development of a brand new Welcome Centre for parents. We developed future customer journeys that mapped all the key touch points and opportunities to WOW parents during the journey. In addition, a Design Thinking session was delivered that included a focused ideation session to brainstorm ideas to help provide a memorable experience for parents.